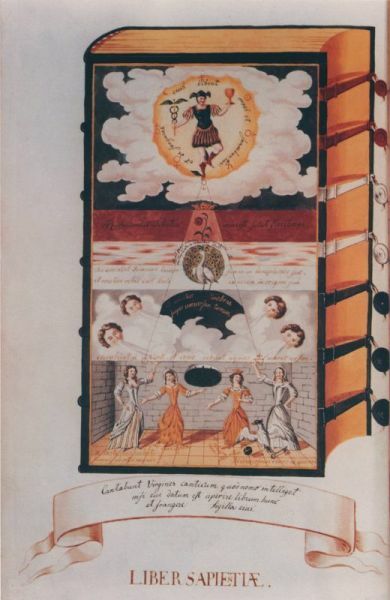 There is another alchemical emblem of a book with seven seals which bears little connection to the one we have looked at earlier. 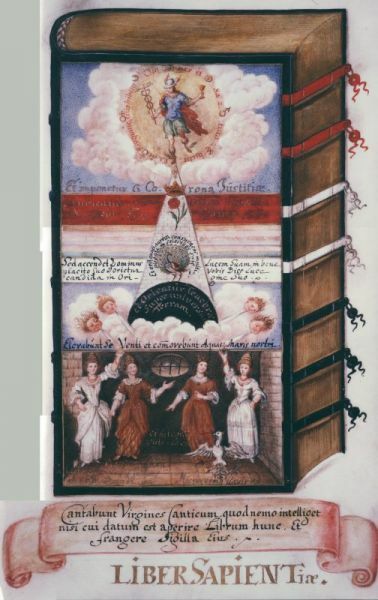 This is entitled Liber Sapientiae and is definitely contained in two manuscripts Wellcome MS 4471 and MP Hall MS 14, though I do recall seeing a reference to another version in a manuscript in the USA Library of Congress. I have produced an audio visual analysis of this on my Youtube web page, based on the Wellcome manuscript. Here is the other version from the Manly Palmer Hall manuscript.